Mansfield Texas Real Estate and Homes for Sale are an outstanding value if parks and recreation is a major factor in the decision making process.I have gathered some quick facts to aid you in your search on this topic. 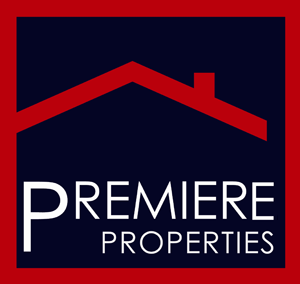 Please do not hesitate to go back to my home page for more information on Mansfield TX Real Estate and Homes for Sale. This park is 19.8 acres. This is by far the newest of Mansfield's parks, opened in the summer of 2006. This park plays host to outdoor concert and events. It has a 600-seat amphitheater for such events. It also has two custom playgrounds for children. It has three covered picnic areas with tables and a large covered corporate pavilion. There are two basketball courts, however not lighted, a sand volleyball court, two horseshoe pits, and restroom facilities. There are seven non-covered picnic tables with grills. There are 12 foot concrete walking trails that go for over 1/2 a mile and have connections to Pleasent Ridge Drive and Historic Downtown. They also have nature areas with abundant wild flowers. Town Park is open from 6:00 a.m. until 11:00 p.m. Athletic fields and pavilions can be rented for extended periods of times. To rent an athletic field of pavilion, please call the Mansfield Activities Center. Serenity Gardens: The original Julian Field Park was built in 1960 by a citizens group. The Julian Field Park was named after one of the original founders of Mansfield. Serenity Gardens was added in 2001 during a renovation of the park. Serenity Gardens was purposed to be an area for remembering loved ones. This was also purposed to be a quiet place where one could think. This park is 6.9 acres with a playground. It also has picnic tables with grilling amenities. The Julian Field Park and Serenity Gardens is open from 6:00 a.m. until 11:00 p.m. This park was built by the Texas Parks and Wildlife Department. The park was built in 1985. When the park was renovated in 1999, restrooms, a covered pavilion, and a playgrounded were added to the McClendon Park West. This park is 4.8 acres. The uncovered picnic tables have grills. This park has a lighted basketball court and practice ball field. However, the practice ball field is not lighted. The park was named after an average citizen named McClendon Moody. McClendon Park West is open from 6:00 a.m. until 11:00 p.m. This park was built with grant money from Texas Parks and Wildlife Association. This park was built in 1994. The park has a lighted softball field used by the Mansfield Girls Softball Association. It is also used by the Mansfield Adult Softball Association. This park is 16.5 acres and it has a playground for children. It has a covered pavilion with picnic tables and an uncovered picnic area with grilling amenities. The park has concessions for visitors watching hosted softball games and a restroom facility. This also has nature trails for one's hiking needs. The park is open from 6:00 a.m. until 11:00 p.m. This park was built with a grant from the Texas Parks and Wildlife Association. 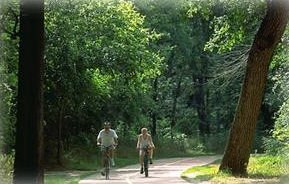 This park was built in 1987, however with help from the Texas parks and Wildlife Association in 2003, trail improvements began. A concrete trail was completed to the historical railroad bridge in Jeffreye's Crossing during the winter of 2004. The park is 24.5 acres with a covered pavilion with picnic tables. There is also a trail connecting the the James McKnight Park East. There are also uncovered picnic tables with grills. Athletic fields are available for rent. The park is open from 6:00 a.m. until 11:00 p.m. This park was built with a grant from the Texas Parks and Wildlife Association. The park was built in 1987. The park is a total of 27.5 acres making it the biggest park in the Mansfield City. It has a four lighted softball fields. These fields are used by the Mansfield Girls Softball Association. They are also used by the Mansfield Adult Softball Association. This park has concessions and restroom facilities. It has a playground with picnic tables, they are not covered nor do they have grills. There are trails connecting to the west James McKnight Park. Athletic fields are available for rent. The park is open from 6:00 a.m. until 11:00 p.m.
With land purchased by the MPFDC with a 1/2 cent sales tax revenue, the Katherine Rose Memorial Park was opened in 1996. This park has developed with a grant from the Texas Parks and Wildlife Department. This property was sold to the city by the land owner who developed the pecan orchard on the original property in the 1950's. The park was named for said land owner's wife. The park is 24 acres, with a 1/2 mile of lighted, concrete walking and biking trails. There are 5 picnic pavilions and 10 picnic areas with grilling amenities. This park has a playground which is handicap accessible. There is a pond for fishing and 8 lighted horseshoe pits. There are 4 lighted 1/2 court basketball courts. There are also 2 lighted volleyball courts. The park is open from 6:00 a.m. until 11:00 p.m.
Park that is attached to the United States Interior Department as well as the Texas Parks and Wildlife Grant funds. This park was originally named North park. This park was renovated in 2003 by MPFDC and re-named after city manager Clayton Chandler. This park is 13 acres with concessions and restroom facilities. There are 3 lighted tennis courts and 2 lighted football fields. Among these, there are also 4 lighted youth softball and/or baseball fields. There is also an adult baseball field. There are 4 covered pavilions, there is one large picnic pavilion and three small ones. There are also walking trails. Athletic fields are available for rent by the Mansfield Activities Center. The park is open from 6:00 a.m. until 11:00 p.m. The Mansfield Activities Center is so much more than it sounds. There are rooms available for rent for special events such as birthday parties. However, MAC identification cards are required to gain entrance to the Mansfield Activities Center. The Mansfield activities center has a wide variety of programs. You can also apply to teach said programs if you have required skills. There have special events and scholarship programs within the Mansfield Activities Center. There is sometimes a waiting list to sign up for programs because classes fill up very quickly so it is important to sign up for a certain class as soon as possible. You can also rent an athletic field or so at the Mansfield Activities Center. The Mansfield Athletic Center is open Monday through Friday, 9:00 a.m. until 9:00 p.m. It is open Saturday from 9:00 a.m. until 4:00 p.m. The Mansfield Activities Center is closed on Sunday.